Day Surgery admission enables a surgical procedure to be undertaken with preparation, recovery and discharge home all on the same day. As successful Day Surgery is a streamlined and time-efficient process, the patient should be well-prepared and organised to minimise delays and maximise safety. Follow these ten handy tips that address areas of concern for patients and staff to achieve a Day Surgery procedure experience that runs smoothly from start to finish. 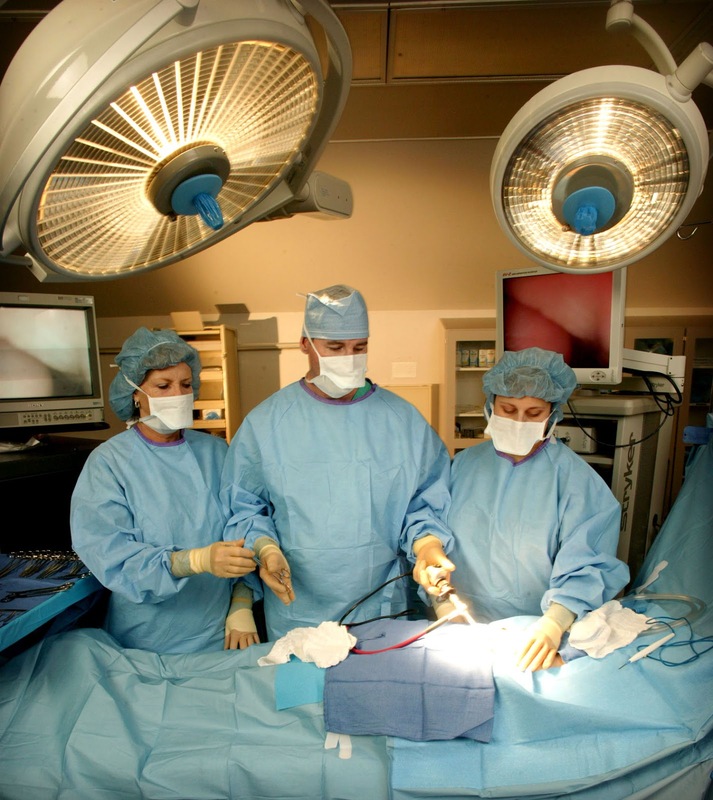 Patients must read the pre-surgery instructions provided by the hospital or Day Surgery Unit. Always follow exactly the advice given by the doctor and hospital. Patients should arrive on time. Day Surgery Unit schedules are carefully arranged. Check where and when the patient needs to present. Allow time for traffic, parking and finding the location of the Day Surgery centre within the hospital. The most recent X-rays and scans of the area on which surgery will be performed should always be brought to hospital. Surgery may be cancelled if the surgeon cannot access the images. Patients must remember to keep fasting before surgery, following the times given by the doctor or hospital. Fasting for surgery requires abstaining from all food and drink including throat lozenges, cough syrups, bubblegum and dissolvable sweets. If food or drink is consumed by mistake, patients should note the time and inform the Day Surgery nurse on arrival. This is of extreme importance as insufficient fasting time before anaesthetic has the potential to cause life-threatening complications. If fasting from midnight for surgery, it is usual for patients to take their morning medications with a sip of water, but always follow the instructions given by the doctor or hospital. These instructions may include stopping some medications days before surgery, especially if they promote bleeding, and other medications like diuretics (fluid tablets) may be with-held on surgery day only. Bring medications to hospital if clarification of the instructions is needed. Diabetic patients will not be eating before surgery so should have instructions from the doctor regarding with-holding diabetic medications and/or reduction of insulin dosage. The patient’s blood glucose level will be checked at regular intervals by the Day Surgery nurse. If the pre-surgery patient notices any symptoms of hypo-glycaemia they should alert the nurse immediately. a list of phone numbers of the person (plus back-ups) to collect patient after recovery from the Day Surgery procedure. Day Surgery patients who wear glasses or contact lenses should bring the corresponding case for safe storage as they cannot be worn to the operating theatre. Patients who wear spectacles for reading should bring them to hospital as they may need to read or sign consent forms or paperwork. Hearing aids should be worn to hospital so the doctors and nurses can communicate well with the patient before and after surgery. Dentures should be worn to hospital. A decision on whether to remove dentures will be made by the anaesthetist as dentures left in place may allow a better fit of the anaesthetic equipment. For fragile partial plates or teeth on wire fittings removal before surgery may be safer so bring a case for storage. If patients have any loose teeth or removable capped teeth they should inform the Day Surgery nurse. Surgery patients should shower in the morning on the day of operation. Depending on the procedure to be done and the hospital protocols, patients may be asked to use an anti-bacterial wash. Menstruating patients should use pads not tampons. Loose clothing should be worn to make it easier to dress and be comfortable after surgery. Makeup or nail polish should not be worn for Day Surgery procedures. Patients can minimise stress by not bringing money or valuable items to hospital. Mobile telephones are not necessary as the Day Surgery nurse will contact the relative or friend on the patient’s behalf to advise of discharge time. Jewellery and body piercings should not be worn as they will have to be removed before surgery. The Day Surgery nurse cannot take responsibility for valuables while the patient is in theatre or recovering from anaesthetic after surgery. Day Surgery patients should not expect any discharge time quoted to be definite; it can only be an estimate as discharge time is dependent on known and unknown variables. Patients will avoid undue stress if they relax and anticipate Day Surgery may take the whole day, perhaps into the evening, and refrain from making arrangements based on exact time-frames for discharge.